Is Cave Story+ worth buying on Switch if I already have it on Steam? Did they add anything new to the Switch release? Also, the face pictures are semi animated in the Switch version. Didn't they do some fluid dynamics with the water's surface and alter the tileset of the cave to have a dark tileset interior. Kinda neat aesthetic tweaks. After playing so many rogue-like games, it would be nice to have an optional remix mode that throws a fresh seed generation each time. Vertical Egg Corridor? Yes we can! Sideways falling blocks in hell? Yes we can! New enemy boss patterns? Yes!!! It's really up to you wether it's worth the price. 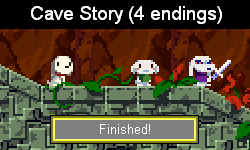 First off if you just want a version of cave story to play everywhere? The 3DS EShop port may be a good cheaper alternative. Compared to the steam version (and the Eshop version which has about the same content bar a challenge iirc), the switch version doesn't really have a lot of new content, most of it being the already mentioned multiplayer and a new challenge called the sand pit. Personally I don't think the switch version is worth it for me since I already have the 3DS EShop version, while multiplayer and a single challenge aren't really worth the $30 for me especially when I don't have a lot of friends who'd be interested in it. The new stuff are animated facepics, new soundtracks, puppy stacking, jelly inventory stacking, the sand pit challenge, portability (now with 2xRes), multiplayer, visual water effects, you can retry the booster labyrinth jump without reloading the game, plus the artwork for the box and booklet are damn lovely. As nice of a concept as some of the challenges are, as nice as a couple minor mechanic tweaks are, and as nice of musicians Pixel, Danny Baranowsky, and RushJet1 are, there really needs to be more of a weight in Nicalis' words "But wait, there's more!" And I don't just mean including physical trinkets alongside the game and mandatory manual. You can retry the booster labyrinth jump without reloading the game. Interesting, how exactly does that work? As much as that might ease things for the player, it seems like it would sort of diminish the challenge and secrecy associated with getting the best ending. Then again, this is the company that in its Wiiware trailer blatantly showed the player bringing Curly into the waterway cabin. They just made it possible to jump back up to the top without the Booster 0.8 is all. What were you imagining it was? If you think that manuals are mandatory these days then you have been living under a rock. Most games don't even bother with manuals anymore. Would a tutorial level even be much more helpful though? There's like, 6 buttons lmao. First Cave has always shown you how to play the game, without actually telling you how to play the game, through the use of clever level design. A tutorial level is unnecessary. I dunno, maybe a wizard zaps you back up to the top if you want it to. 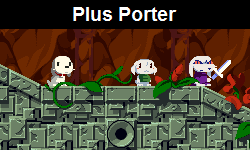 This is such a big Cave Story paradigm shift that anything seems possible all of the sudden. I didn't know that actually. Seems a lot more convenient. I remember having to turn my 3ds off and then back on again if I missed that jump by a pixel. Kudos to the switch version for that. I remember having to turn my 3ds off and then back on again if I missed that jump by a pixel. Couldn't you just press start and hit exit game? Oh yeah, that too. I probably did that actually.